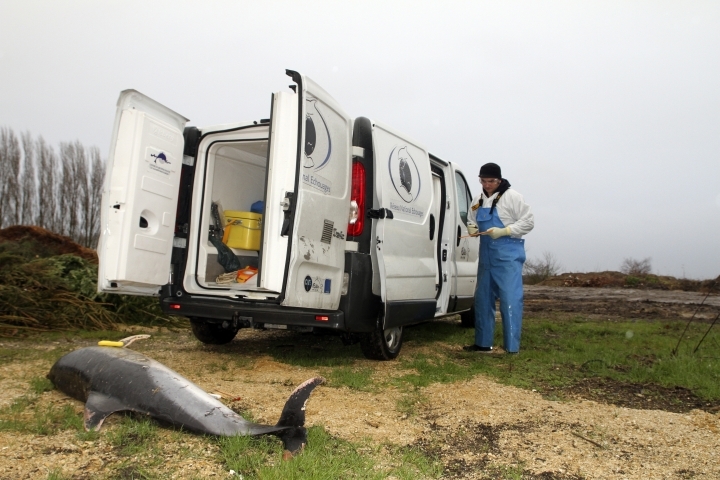 PARIS — The dolphins' bodies were horribly mutilated, the fins cut off. 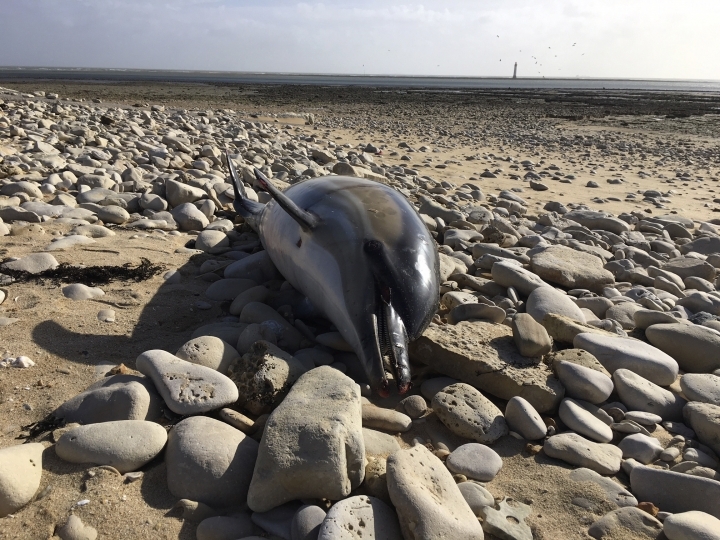 But what shocked French marine researchers wasn't just the brutality of the deaths of these highly intelligent mammals, but also the numbers involved — a record 1,100 have washed up on France's Atlantic coast since January. Though Daubin said 90 percent of the fatalities resulted from accidental capture in industrial nets, the reason behind the spike this year is a mystery. 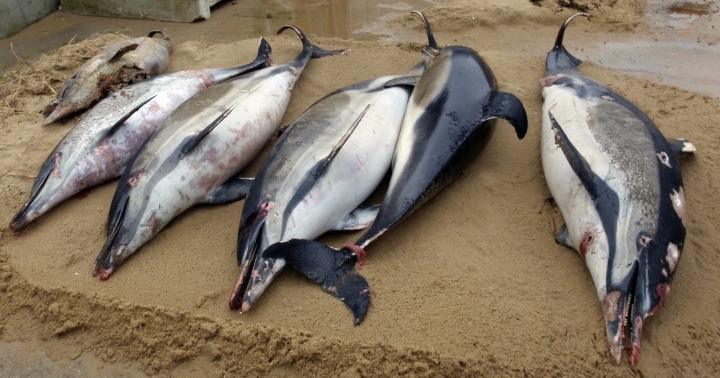 Autopsies carried out on the dolphins this year by La Rochelle University's National Center for Scientific Research show extreme levels of mutilation. 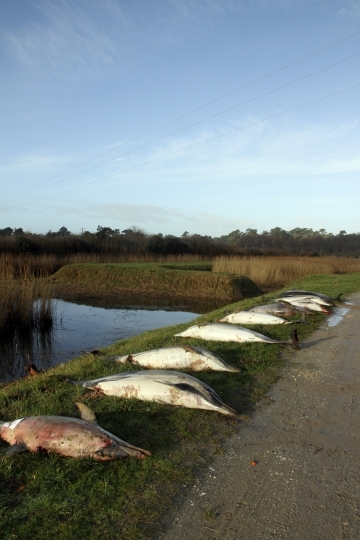 French Ecology Minister Francois de Rugy rushed last Friday to La Rochelle in an attempt to lower the number dying as a result of human action. He's under pressure not least because of French President Emmanuel Macron's pro-ecology stance and oft-quoted slogan to "Make the Planet Great Again." But animal rights group Sea Shepherd said they do not go far enough, and has already decried such measures as "useless." It claims many of the trawlers they watch in the region don't activate the repellent devices owing to fears they will scare off valuable fish as well, and operators only turn them on if they are checked by an "onboard observer." 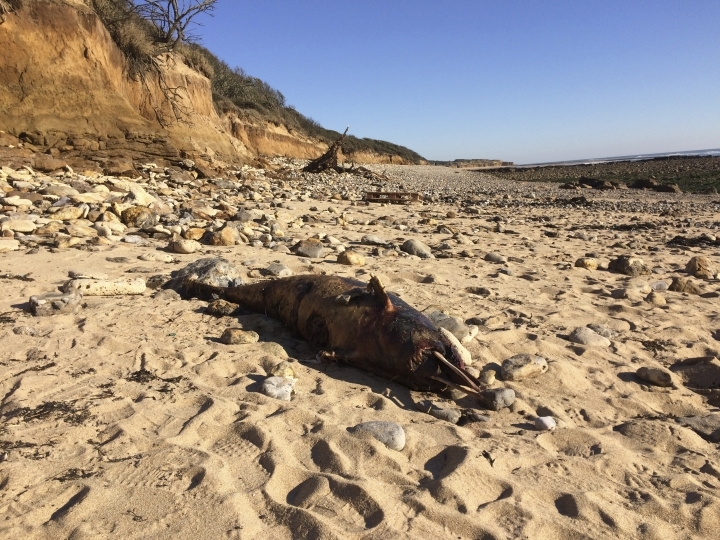 "Right now, the sea bass that is being caught by the trawlers that kill dolphins, you can find on the French market for eight euros-per-kilo ($4-per-pound)," she said.